Through February 4 – “Junie B. Jones Is Not A Crook” at the Gunter Theatre. The South Carolina Children’s Theatre presents this witty and heartwarming story that begins when Junie B. Jones’ gloves are stolen. For more information call (864) 467-3000 or visit https://www.peacecenter.org/events/detail/junie-b-jones-is-not-a-crook. Through February 7 – “Fringe Series: The Christians” at the Center Stage Theatre in Greenville. The Pastor has decided he doesn’t believe in Hell and plans to preach a sermon of his beliefs expecting the congregation to be accepting. For more information call (864) 233-6733 or visit https://centrestage.org/fringe-series-christians/. Through February 10 – “A Moon for the Misbegotten” at the Warehouse Theatre in Greenville. This is the story of two young adults who see each other after years of separation and find themselves reconnecting, but will love keep them together? For more information call (864) 235-6948 or visit https://warehousetheatre.com/a-moon-for-the-misbegotten/. Through February 10 – “Rockin’ the Keys” at the Center Stage Theatre in Greenville. This is Center Stage’s annual rock show featuring songs from some of the great piano artists such as Billy Joel and Stevie Wonder, with local cast members and a live rock band so come out for a great night of fun! For more information call (864) 233-6733 or visit https://centrestage.org/rockin-the-keys/. Through February 27 – “Balloonacy” at the South Carolina Children’s Theatre in Greenville. This is a charming story of an old lady who is alone on her birthday and the unexpected friend that comes into her life at just the right moment. For more information call (864) 235-2885 or visit https://scchildrenstheatre.org/shop/balloonacy-wee-play-theatre/. January 31 – February 11 – “Phantom of the Opera” at the Peace Center Concert Hall in Greenville. This is an amazing new reproduction of Andrew Lloyd Webbers original and will dazzle you . . . and if you’ve never seen a performance before, you need to make an effort to see this! For more information call (864) 467-3000 or visit https://www.peacecenter.org/events/detail/the-phantom-of-the-opera-1. February 1 – “The Birdland All-Stars Featuring Tommy Igoe” at the Brooks Center for the Performing Arts in Clemson. Enjoy an evening of good music by some of the best musicians from New York. For more information call (864) 656 -7787 or visit http://www.clemson.edu/centers-institutes/brooks/events/event.html?eventid=960021. February 1 – Chautauqua History Live: George Washington at the Spartanburg County Library Headquarters Library in Spartanburg. 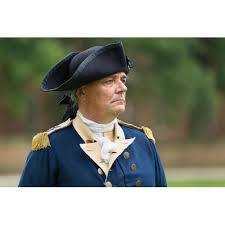 If you’ve ever thought it would be awesome to talk with George Washington, here is the closest chance you’ll have with nationally acclaimed historical interpreter Ron Carnegie presenting as the first president and will also entertain any questions you may have. For more information call (864) 244-1499 or visit http://www.greenvillechautauqua.org/?event=george-washington-show-spartanburg&event_date=2018-02-01. February 1 – 3 – Senior Directed One Acts at Billingsley Theatre in Tigerville. Two senior majors have created and directed two one act plays, so come out and support their hard work! For more information call (864) 977-7000 or visit http://www.ngu.edu/theatre.php. February 1 – 4 – Marvel Universe Live at the Bon Secours Wellness Arena in Greenville. For all the Marvel fans out there, this is a show you have to see, as it will be filled your all of your favorite characters gathered to “defend the universe from evil”! For more information call (864) 241-3800 or visit http://www.bonsecoursarena.com/events/detail/marvel-universe-live. February 2 – April 21 – “Prince Caspian” at the Logos Theatre in Taylors. This is one production that will absolutely leave you spellbound, so if you get the chance, don’t miss the chance to see this fantastic theatrical production! For more information call (864) 268-9342 or visit https://www.theacademyofarts.org/events/category/prince-caspian/. February 2 – 11 – “The Foreigner” at the Foothills Playhouse in Easley. When “Froggy” invites his friend Charlie on a fishing trip to Georgia and tells everyone he doesn’t speak English when he does, Charlie overhears something that he shouldn’t and that is when the hilarity begins! For more information call (864) 855-1817 or visit http://www.fhplayhouse.com/wordpress/production/the-foreigner/. February 3 – “Rebels On Point” at the Gunter Theater in Greenville. This show is ballet like you’ve never seen it performed before! For more information call (864) 467-3000 or visit https://www.peacecenter.org/events/detail/rebels-on-pointe. February 3 – Veteran’s Resource Fair at Spartanburg Community College in Spartanburg. Learn about the resources available in the Upstate for all veterans and active duty military families. For more information call (864) 542-2787 or visit https://www.chapmanculturalcenter.org/pages/calendar/detail/event/c1/e1931/&DateOfEvent=02/03/2018. February 3 – Sweetheart Charity Ball at the Hyatt Regency in Greenville. This formal event will give you a chance to enjoy a night out with dinner and dancing and the chance to bid on over 100 silent auction items, all to benefit Meals on Wheels in the Greenville area. For more information visit https://mealsonwheelsgreenville.org/mow-event/sweetheart-charity-ball/. February 3 & 4 – Chautauqua History Live: George Washington at Wade Hampton High School in Greenville. Here is yet another chance to see the famous historical interpreter Ron Carnegie as he portrays the first president and wows you with his amazing knowledge and presents you with an incredible show. For more information call (864) 244-1499 or visit http://www.greenvillechautauqua.org/performances/winter-chautauqua/. February 5 – “Helsingborg Symphony Orchestra” at the Brooks Center for the Performing Arts in Clemson. Fill your evening with Sweden’s oldest orchestra who will astound you with their amazing talent! For more information call (864) 656-7787 or visit http://www.clemson.edu/centers-institutes/brooks/events/event.html?eventid=960024. February 6 – 8 – Weekend Waterfall Tour at Devil’s Fork State Park in Oconee. Here is a chance for you to see some of the most beautiful waterfalls in the South Carolina upstate. For more information call (864) 944-7787 or visit https://southcarolinaparks.com/products/10004687. February 8 – “In the Mood” at the Spartanburg Memorial Auditorium in Spartanburg. This All-American 1940’s musical revue will take you on a walk down memory lane with their entertaining period song and dance! For more information call (864) 582-8107 or visit http://www.crowdpleaser.com/calendar/161/In+The+Mood. February 8 – “Brantley Gilbert” at the Bon Secours Wellness Arena in Greenville. Enjoy an evening of country music with this talented musician! For more information call (864) 241-3800 or visit http://www.bonsecoursarena.com/events/detail/brantley-gilbert. February 8 – “Broadway Backwards 2 – A Concert with a Twist” at the Chapman Cultural Center in Spartanburg. Presented by the Spartanburg Little Theatre, you’ll enjoy an evening filled with lots of Broadway songs with all proceeds to benefit Piedmont Care. For more information call (864) 585-8278 visit https://www.facebook.com/events/151626442098854/. February 8 – Piano Battle at the Founder’s Memorial Amphitorium at Bob Jones University in Greenville. See two great international accomplished pianists, Andreas Kern and Paul Cibis, plan classical pieces in their own personal style intermittently all the while enchanting the audience with their amazing talent! For more information call (864) 770-1372 or visit https://www.bju.edu/events/fine-arts/concert-opera-drama/piano-battle.php. February 9 – 10 – “Charlie and the Chocolate Factory” at the Chapman Cultural Center in Spartanburg. Everyone will enjoy this favorite tale about Willy Wonka and his famous Chocolate Factory! For more information call (864) 542-2787 or visit https://www.chapmanculturalcenter.org/pages/calendar/detail/event/c1/e1730/&DateOfEvent=02/09/2018. February 9 – 11 – Atlanta Golden Retriever Club Agility Trials at the T. Ed Garrison Arena in Pendleton. For more information call (770) 967-1717 or visit https://calendar.clemson.edu/event/atlanta_golden_retriever_club_agility_trial_7193?utm_campaign=widget&utm_medium=widget&utm_source=Clemson+University#.Wm48MIjwayI. February 9 – 11 – Switch-A-Roos Children’s Consignment Sale at the TD Convention Center in Greenville. Here is a chance for you to either try to sell some of those items you have on hand or search for some items that you or someone you know needs at a great bargain! For more information call (864) 233-2562 or visit http://tdconventioncenter.com/events/switch-a-roos-childrens-consignment-sale/2018/02/09/. February 9 – 18 – “Lunatics at Large” at the Oconee Community Theatre in Seneca. This production is part mystery, part comedy and part thriller, so in other words, you won’t want to miss it! For more information call (864) 882-1910 or visit http://www.oconeetheatre.org/shows.html. February 10 – “Justin Moore” with Special Guest “Dylan Scott” at the Spartanburg Memorial Auditorium in Spartanburg. This will be an evening filled with some good ‘ole country music! For more information call (864) 582-8107 or visit http://www.crowdpleaser.com/calendar/204/Justin+Moore+w+special+guest+Dylan+Scott. February 10 – “Shoulder to Shoulder” at the Gunter Theater in Greenville. Enjoy an evening of chamber music by members of the Greenville Symphony Orchestra who have joined The Young Artists Orchestra and The Philharmonic who will be performing Mendelssohn, Bruch, and Brahms. For more information call (864) 467-3000 or visit https://www.peacecenter.org/events/detail/shoulder-to-shoulder-2. February 10 – Professional Bull Riders at the Bon Secours Wellness Arena in Greenville. This will be an exciting evening filled with some of the best bull riding you’ve ever seen! For more information call (864) 241-3800 or visit http://www.bonsecoursarena.com/events/detail/professional-bull-riders. February 10 – 11 – Home and Garden Show at the Spartanburg Memorial Auditorium in Spartanburg. Here is another chance to talk with another set of specialists that can help you with those home and garden projects you are working on or want to start. 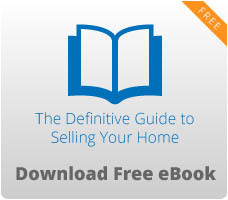 For more information call (864) 582-8107 or visit http://www.crowdpleaser.com/calendar/152/Home+Garden+Show. February 10 – 11 – Gun and Knife Show at the TD Convention Center in Greenville. For those looking for something special or those who just like to browse, you are sure to find something that you’ll like at this show! For more information call (864) 233-2562 or visit http://tdconventioncenter.com/events/sc-arms-collectors-association-gun-knife-show/2018/02/10/. February 11 – “The Square” at the Gunter Theater in Greenville. Winner of the Cannes Film Festival’s highest honor for 2017, this satirical drama is thought provoking and very entertaining! For more information call (864) 467-3000 or visit https://www.peacecenter.org/events/detail/the-square. February 12 – “Attaca Quartet” at Daniel Recital Hall at Converse College in Spartanburg. These are four extremely talented musicians! For more information call (864) 596-9724 or visit https://www.converse.edu/event/attacca-quartet/. February 14 – “A Musical Valentine” at the Peace Center Concert Hall in Greenville. Greenville’s own Edward McCain joins the Greenville Symphony Orchestra to give you an evening of beautiful music for your Valentine’s Day. For more information call (864) 467-3000 or visit https://www.peacecenter.org/events/detail/a-musical-valentine-1. February 14 – “Mike Epps Platinum Comedy Tour” at the Bon Secours Wellness Arena in Greenville. What better way to spend Valentine’s Day than filling it with joy and laughter! For more information call (864) 241-3800 or visit http://www.bonsecoursarena.com/events/detail/mike-epps. February 15 – “Brooklyn Rider” at the Gunter Theater in Greenville. This fantastic string quartet will create a performance that will appeal to lovers of just about all genera’s of music. For more information call (864) 467-3000 or visit https://www.peacecenter.org/events/detail/brooklyn-rider. February 16 – “Les Ballets Trockadero de Monte Carlo” at the Peace Center Concert Hall in Greenville. Enjoy a night of ballet done strictly by men that will give you a show like you’ve never seen before! For more information call (864) 467-3000 or visit https://www.peacecenter.org/events/detail/2018-oscar-nominated-short-films. February 16 – 18 – Kids Artistic Revue at the Spartanburg Memorial Auditorium. Recognized as one of America’s favorite dance competitions, you’ll have a chance to see some of the best young dancers on their way to the top! For more information call (864) 582-8107 or visit https://dancekar.com/competition/schedule/2018/946. February 16 – 18 – Upstate South Carolina Coin Show at the Spartanburg Memorial Auditorium in Spartanburg. For all you coin collectors, here is another show for you to check out! For more information call (864) 582-8107 or visit http://www.crowdpleaser.com/calendar/90/Upstate+South+Carolina+Coin+Show. February 16 – 18 – 2018 Oscar Nominated Short Films at the Gunter Theater in Greenville. Spend your weekend enjoying a variety of short films all vying for an Oscar. For more information call (864) 467-3000 or visit https://www.peacecenter.org/events/detail/2018-oscar-nominated-short-films. February 16 – 25 – “9 to 5 the Musical” at the Greenwood Community Theater in Greenwood. Based on the 1980’s hit movie set in the 1970’s will keep you laughing until the end! For more information call (864) 388-7800 or visit http://www.emeraldtriangle.us/Home/Components/Calendar/Event/5246/314?curm=2&cury=2018. February 17 – “Black Jacket Symphony presents Pink Floyd’s Dark Side of the Moon” at the Walhalla Civic Auditorium in Walhalla. For all the Pink Floyd fans, you will certainly enjoy this show! For more information call (864) 638-5277 or visit http://www.walhallacivic.com/. February 17 – Spectrum Valentine Ball at the YMCA Adam’s Mill Program Center Gym in Simpsonville. This is a semi-formal ball for those having or living with someone with an Autism Spectrum Disorder to have a night of fun and enjoyment in a sensory-safe environment with dancing and other activities, so grab a date and enjoy some Valentine’s fun. For more information call (864) 963-3608 ext. 24 or visit http://scautism.org/event/ymca-spectrum-valentine-ball-2018/. February 17 – Upstate Heart Ball at the TD Convention Center in Greenville. You’ll enjoy a seated dinner and live music with over $160,000 in silent and live auction items available to make for an exciting evening benefiting the American Heart Association and the American Stroke Association. For more information call (800) 242-8721 or visit https://ahagreenvillesc.ejoinme.org/MyEvents/20172018UpstateHeartBall/tabid/869200/Default.aspx. February 17 – 18 – Tour of South Carolina West Regional Showcase Youth Wrestling Showcase at the T. Ed Garrison Arena in Pendleton. This will include individual and team duals with participants ranging in age from 4 to 15 years old. For more information call (864) 934-8523 or visit https://calendar.clemson.edu/event/tour_of_sc_west_region_showcase?utm_campaign=widget&utm_medium=widget&utm_source=Clemson+University#.Wm48rIjwayI. February 20 – “Guess Who Showed Up for Dinner” at the Spartanburg Memorial Auditorium in Spartanburg. This hilarious stage production is about a musician trying to find his niche in life and ends up traveling to a backwoods South Carolina town to visit family and gets more than he and his traveling friend expected. For more information call (864) 582-8107 or visit http://www.crowdpleaser.com/calendar/211/Guess+Who+Showed+Up+at+Dinner. February 20 – “Rain – A Beatles Tribute” at the Peace Center Concert Hall in Greenville. This group having been together longer than the actual Beatles will give you an evening that will make you believe you are hearing the real thing! For more information call (864) 467-3000 or visit https://www.peacecenter.org/events/detail/rain-a-tribute-to-the-beatles. February 20 – 23 – “Dream Weaving, Gullah Stories, & Songs” at the Gunter Theater in Greenville. Learn about the culture of the Gullah peoples from Ron and Natalie Daise who have spent 24 years blending stories and song to show the “humor, harmony, and humanity” of this amazing culture. For more information call (864) 467-3000 or visit https://www.peacecenter.org/events/detail/dream-weaving-gullah-songs-stories. Through February 24 – “Not Just Another Love Story” at the NarroWay Theatre in Fort Mill. This dinner show will take you back the joys and sorrows of WWII with classic 40’s songs, a great meal, and loads of nostalgia and inspiration! For more information call (803) 802-2300 or visit https://narroway.net/dinner-shows/love-story. February 2 – “The Pitchforks” at the Wood Auditorium in Camden. Duke University’s acapella group is back for one performance only and is prepared to dazzle you with their talent! For more information call (803) 425-7676 or visit http://www.fineartscenter.org/events/2018/02/02/pitchforks2018/. February 2 – Color Me Calm at the Center for the Arts in Rock Hill. Learn how to de-stress yourself through the fun of creating a simple and calm watercolor painting. For more information call (803) 328-2787 or visit https://www.yorkcountyarts.org/art-classes. February 2 & 3 – “Wonderland” at the Newberry Opera House in Newberry. Presented by the Newberry Ballet Guild, experience Alice in Wonderland as you’ve never seen it before! For more information call (803) 276-6264 or visit https://www.newberryoperahouse.com/shows-and-events.html?show_name=wonderland-fri-feb-2. February 2 – 4 – Annual Antiques in the Heart of Aiken Show & Sale at the Aiken Center for the Arts in Aiken. The start of this event will include cocktails and a preview party followed by three days to view the tremendous antiques available with over 20 antique dealers across the country displaying and selling museum quality items. For more information call (803) 641-9094 or visit http://aikenantiqueshow.com/. February 3 – By Way of the Back Door at Historic Brattonsville in McConnells. Learn about the lives of the enslaved that use to reside at this plantation, with living history demonstrations such as cooking. For more information call (803) 684-2327 or visit http://chmuseums.org/event/2327/. February 3 – “Elvis, the Legend” with Alex Mitchell and Cote Deonath at the Sylvia Theater in York. Although he has been gone for 40 years, his music still lives on, so come out and enjoy hearing some of your favorite songs! For more information call (803) 884-5590 or visit http://sylviatheatre.com/. February 3 – Battle of Rivers Bridge Anniversary Lectures at the Rivers Bridge State Historic Site in Ehrhardt. Hear several presenters talk about Civil War medicine and research done on the Union casualties from this battle buried at the Beaufort National Cemetery. For more information call (803) 267-3675 or visit https://southcarolinaparks.com/rivers-bridge/programs-and-events. February 4 – “The Glenn Miller Orchestra” at the Newberry Opera House in Newberry. Here is a chance to see the world’s most favorite Big Band prepared to take you on a walk down memory lane! For more information call (803) 276-6264 or visit https://www.newberryoperahouse.com/shows-and-events.html?show_name=glenn-miller-orchestra. February 5 – “Arlo Guthrie RE: Generation Tour” at the Newberry Opera House in Newberry. This historical singer/songwriter/storyteller whose claim to fame is the song “Alice’s Restaurant” will sing that and more hits along with some new material to provide you with a fun evening of entertainment! For more information call (803) 276-6264 or visit https://www.newberryoperahouse.com/shows-and-events.html?show_name=arlo-guthrie-re-generation-tour. February 5 – 6 – Daddy and Daughter Dance at the Anne Springs Close Greenway Dairy Barn in Fort Mill. Here is a chance for you to enjoy an evening out with your daughter (ages 4-14) for music, dancing, refreshments, and fun! For more information call (803) 547-4575 or visit https://www.ascgreenway.org/events. February 7 – “A Tribute to Pavarotti” at the Newberry Opera House in Newberry. An orchestra and five international performers including three tenors, one soprano, and one mezzo soprano to create a magical evening of some of Pavarotti’s most fabulous works. For more information call (803) 276-6264 or visit https://www.newberryoperahouse.com/shows-and-events.html?show_name=a-tribute-to-pavarotti. February 7 – 8 – Mother and Son Dance at the Anne Springs Close Greenway Dairy Barn in Fort Mill. Here is a chance for you to take you son out for some fun (ages 4-10) for music, dancing, and fun, and wear your favorite super hero costume! For more information call (803) 547-4575 or visit https://www.ascgreenway.org/events. February 9 – Adventure Seekers Kids Night Out at the Anne Springs Close Greenway Adventure Center in Fort Mill. Here is a chance for you to get a night off and for your kids to have a fun evening of fun with pizza and indoor and outdoor activities. For more information call (803) 547-4575 or visit https://www.ascgreenway.org/events/detail/adventure-seekers-kids-night-out-51. February 9 – “Pianist Michelle Cann” at the Newberry Opera House in Newberry. This amazingly talented young artists has performed across the United States, China, and Korea, and is here to provide you with an evening that will amaze you with her talent! For more information call (803) 276-6264 or visit https://www.newberryoperahouse.com/shows-and-events.html?show_name=michelle-cann-pianist. February 9 – 18 – “Lend Me a Tenor” at the Rock Hill Community Theatre in Rock Hill. It’s 1934 and a big night for the Cleveland Grand Opera Company as a world famous tenor is to perform but his arriving late is only the beginning of how things hysterically fall apart. For more information call (803) 376-7428 or visit http://www.rockhilltheatre.org/home/starting-2018-with-laughter-and-fun-in-this-madcap-comedy-complete-with-italian-opera. February 10 – Wild Wonder Saturday at the Museum of York County in Rock Hill. Kids will have the chance to learn about archaeology tools used in unearthing ancient artifacts and will have the chance to participate in a hands on activity. For more information call (803) 329-2121 or visit http://chmuseums.org/event/2350/. February 10 – Paper Marbling Workshop at the Fine Arts Center of Kershaw County in Camden. Learn this beautiful art form with a chance to try a variety of different designs and will get to take home a beginners kit. For more information call (803) 425-7676 or visit http://www.fineartscenter.org/classes/2018/02/10/marbling2018/. February 10 – History in the Making – CCC Company 4475 at Chester State Park in Chester. As part of Black History Month, learn how this all African American Company and two other CCC Companies built Chester State Park. For more information call (803) 385-2680 or visit https://southcarolinaparks.com/products/10004609. February 10 – “DSB – A Tribute to Journey” at the Newberry Opera House in Newberry. Hear all of your favorite songs by Journey as performed by this tribute band that will have you almost believing you are hearing the true band in concert! For more information call (803) 276-6264 or visit https://www.newberryoperahouse.com/shows-and-events.html?show_name=dsb-tribute-to-journey. February 10 – Time for You: Marbleized Dishes with Angie Clinton at the Center for the Arts in Rock Hill. Learn the art of how to create beautiful dishes using this fun technique. For more information call (803) 328-2787 or visit https://www.yorkcountyarts.org/art-classes. February 10 – Marti Healy’s “Walking with Dogs” Book Signing at the Aiken Visitors Center in Aiken. Written by this Aiken native, you’ll enjoy touching and inspirational stories of her walks with her dog around Aiken. For more information call (803) 642-7557 or visit http://discoveraikencounty.com/event/book-signing-for-your-valentine/. February 11 – “Sense and Sensibility” at the Newberry Opera House in Newberry. Based on the book by Jane Austen centered around the 18th century about two sisters and their mother who have to leave their home as their half-brother and his wife inherit the estate after the death of their father. For more information call (803) 276-6264 or visit https://www.newberryoperahouse.com/shows-and-events.html?show_name=sense-sensibility. February 12 – Wine & Design with Cat Lloyd – Tiffany Landscape at the Fine Arts Center of Kershaw County in Camden. Create a landscape that is inspired by stained glass. For more information call (803) 425-7676 or visit http://www.fineartscenter.org/classes/2018/02/12/wd-tiffany/. February 13 – “Gemini” at the Sylvia Theater in York. This extremely talented artists is a comedian ventriloquist, and a stand-up comedian magician and will give you a show you won’t soon forget! For more information call (803) 684-5590 or visit https://www.etix.com/ticket/p/6654258/gemini-comedy-york-sylvia-theater. February 13 – “Harriett Tubman and the Underground Railroad” at the Sumter Opera House in Sumter. This deeply moving performance is about the one very brave woman who saved the lives of thousands of slaves risking her own life and safety in the process. For more information call (803) 436-2500 or visit http://www.sumtersc.gov/harriettubman. February 14 – 15 – Book Making Workshop at the Fine Arts Center in Kershaw County in Camden. Create an easy miniature journal that you can take with you and replicate to use as gifts for others. For more information call (803) 425-7676 or visit http://www.fineartscenter.org/classes/2018/02/15/bookmaking2018/. February 15 – Teen Science Café at the Museum of York County in Rock Hill. This new event for teens will include a science speaker each month chosen by the teens with food, ice breakers, a research talk and questions and answers by a featured scientist, and cool door prizes! For more information call (803) 329-2121 or visit http://chmuseums.org/event/2352/. February 15 – “An Irish Romance: Ciaran & Tara Nagle” at the Newberry Opera House in Newberry. Grab your Valentine and enjoy an evening out with some beautiful Celtic music by one of the former Three Irish Tenors and his talented wife, along with other Celtic singers and dancers for a fun, romantic evening out! For more information call (803) 276-6264 or visit http://www.newberryoperahouse.com/shows-and-events.html?show_name=ciaran-tara-nagle. February 16 – Parent’s Night Out at the Main Street Children’s Museum in Rock Hill. Here is a chance to spend some time along, so bring your children ages 3 to 7 years old by the museum for play, games, and a popcorn chicken dinner. For more information call (803) 327-6400 or visit http://chmuseums.org/event/2349/. February 16 – 24 – “Sense and Sensibility” at the Aiken Community Playhouse in Aiken. Two sisters meet two men and both are left heartbroken and force to rely on one another for comfort. For more information call (803) 648-1438 or visit http://aikencommunityplayhouse.com/shows/. February 17 – “Pops! Easy to Love” at the Etherredge Center at the University of South Carolina in Aiken. This will be an evening filled with America’s favorite love songs as performed by the Aiken Symphony Orchestra, sung by the Aiken Choral Society and four talented soloists. For more information call (803) 295-0313 or visit http://aikensymphonyorchestra.com/. February 17 – The Great Backyard Bird Count at the Museum of York County in Rock Hill. Come to the museum early and help a scientist in counting the birds along the nature trail and at the garden feeders. For more information call (803) 329-2121 or visit http://chmuseums.org/event/2351/. February 17 – “The Steel Wheels” at the McCelvey Center in York. This will be a fun evening of great bluegrass music! For more information call (803) 68403948 or visit http://chmuseums.org/event/2316/. February 17 – “Bob Eubanks and the Not So Newlywed Game Show” at the Sumter Opera House in Sumter. Eubanks has created an up to date and modern game show that will provide you with an evening of hilarious stories from his past shows, and eight randomly selected couples from the audience will participate in this game show for some great prizes, and will guarantee those chosen and those observing a night of tremendous laughter and fun that you will remember for years to come! For more information call (803) 436-2500 or visit http://sumtersc.gov/newlywedgame. February 18 – “DINO Light” at the Newberry Opera House in Newberry. Presented by the Lightwire Theatre, here the chance to see what you’ve seen only on Americas Got Talent, a theatrical light show live and in person. For more information call (803) 276-6264 or visit http://www.newberryoperahouse.com/shows-and-events.html?show_name=dino-light. February 20 – 22 – Defending Carolina Civil War Battlefields Tours starting at Santee State Park in Santee. This event will start out at Santee State Park on Tuesday, and travel to and from Rivers Bridge State Historical Site in Ehrhardt and the Congaree Creek Preserve in Columbia on Wednesday, where a historical expert will tell you the story of what the Union Army faced and how Confederate Army attempted to delay them, then returning to Santee State Park with the cost of the event including a two nights stay in a lakeside cabin. For more information call (803) 854-2408 or visit https://southcarolinaparks.com/products/10004541. Through January 31 – “The Illusionists Present Adam Trent” at the North Charleston Performing Arts Center in North Charleston. You are guaranteed to have one incredible evening of magic, humor, and music that if perfect for the entire family! For more information call (843) 529-5000 or visit https://www.northcharlestoncoliseumpac.com/events/detail/circus-1903. Through February 4 – “Vanya & Sonia & Masha & Spike” at the Footlight Players Theatre in Charleston. This 2013 Tony Award Winner for Best Play will leave you filled with laughter throughout the production and beyond! For more information call (843) 722-4487 or visit http://footlightplayers.net/events/vanya-sonia-marsha-spike/. Through February 24 – “I Got You Babe” at the Thirty-Four West Theatre in Charleston. A small city girl finds herself working in a big city 1960’s department store in this All New “groovical” by the sellout hit “Groovy Kinda Love”. For more information call (843) 901-9343 or visit https://www.34west.org/tickets/i-got-you-babe. Through February 25 – A Renaissance Woman: “Ferdi” and the Gardens of Old Town at Charles Towne Landing Historic Site in Charleston. A ranger will take you on a Home and Garden Tour of the Legare-Waring House and tell you about the life of Ferdinanda Legare Waring and her talents that not only included gardening but also preservation of the current Historical Site. For more information call (803) 734-0156 or visit https://southcarolinaparks.com/products/10003837. Through March 30 – Pee Dee Regional Arts Comopetition Exhibit at the Florence County Museum Waters Building in Florence. For more information call (843) 676-1200. February 1 – The Black Jacket Symphony presents Tom Petty’s “Damn the Torpedoes” at the Charleston Music Hall in Charleston. This band will play this Tom Petty album in its entirety followed by other favorite songs by this amazing artist. For more information call (843) 853-2252 or visit https://www.charlestonmusichall.com/event/1574610-black-jacket-symphony-present-charleston/. February 1 – 28 – Gullah Celebration at a variety of locations around the Hilton Head Island area. This fun annual event will immerse you in the Gullah culture of amazing food, dance, art, and so much more, so don’t miss out! For more information visit http://gullahcelebration.com/. February 2 – “Cowboy: The Ultimate Kid Rock Tribute” at the House of Blues in Myrtle Beach. If you are a Kid Rock fan, don’t miss the chance to see this show! For more information visit http://www.houseofblues.com/myrtlebeach/concert-events#/event-popup. February 2 – Surf & Ale Bash at the Charleston Music Hall in Charleston. Come out and enjoy an evening of surf films, craft brews, and good food! For more information call (843) 853-2252 or visit https://www.charlestonmusichall.com/event/1616410-4th-annual-surf-ale-bash-charleston/. February 2 – 3 – “Classic Bernstein and Gershwin” at the Gaillard Center in Charleston. Many favorites of these two composers will be performed by the Charleston Symphony Orchestra. For more information call (843) 724 -5212 or visit https://gaillardcenter.org/event/classical-bernstein-gershwin-2/. 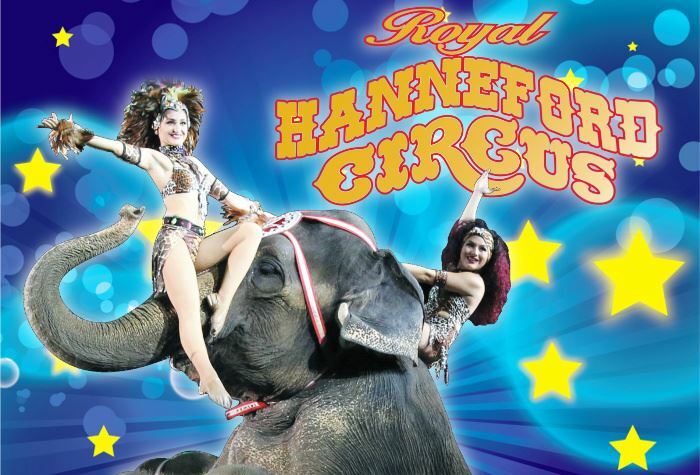 February 2 – 4 – Royal Hanneford Circus at the Florence Center in Florence. The three ring circus is back and you’ll enjoy all of your favorites and then some, plus arrive early and have the chance to take an elephant ride, camel ride, a pony ride, and more! For more information call (843) 679-4525 or visit http://www.florencecenter.com/events/2018/royal-hanneford-circus(2). February 2 – 4 – Low Country Winter Coin Show at the Exchange Park Fairgrounds in Ladson. At this event you’ll find coins, currency, and other collectibles with a table just for the kids to introduce them to the world of collecting. For more information visit http://www.lowcountrycoinclub.com/#. February 3 – Shuck-A-Rama at the Runnymede Plantation in Charleston. Come out and enjoy fresh roasted oysters, Gumbo, beer and wine, soft drink, live music, and a whole lot of fun while helping raise money for the Brain Injury Association of South Carolina who helps support clients and their families, create awareness of the severity of these injuries, and to advocate for more community services. For more information visit http://www.cvent.com/events/2018-shuck-a-rama-oyster-roast/event-summary-a35020b0776c4f948f85fbfbac5a938f.aspx. February 3 – Groundhog Day Concert at the Music Farm in Charleston. You’ll enjoy an evening of great music from Sisters Matsuda and Bill Carson while having a whole lot of fun! For more information call (843) 853-2252 or visit https://www.charlestonmusichall.com/event/1592845-groundhog-day-no-6-charleston/. February 3 – Save the Light Half-Marathon & 5K at the Folly Beach Pier. Help support preservation of the Morris Island Lighthouse by participating in either the run and run/walk event. For more information call (843) 795-4386 or visit https://www.ccprc.com/3258/Save-the-Light-Half-Marathon-5K. February 3 – Shuckin for Shelter Oyster Roast at Oakley Farms in Moncks Corner. This all you can eat oyster event with alternative food options available will be held in a beautiful country setting and will benefit the Callen-Lacey Center for Children who provides a safe shelter for abused children. For more information call (843) 266-5200 or visit https://cydc.org/shuckin-for-shelter/. February 3 – Paws and Pearls Oyster Roast at the Summerville Country Club in Summerville. Spend an evening enjoying all you can eat oysters, chili and other foods, beer and wine, while enjoying a silent auction and live music by PlaneJane with proceeds to benefit the Dorchester Animal Shelter. For more information call (843) 871-3820 or visit https://dorchesterpaws.org/event/oysterroast/. February 3 – Charleston STEM Festival at Brittlebank Park in Charleston. This free event for all ages will include over 80 exhibitors providing hands-on activities, live performances, interactive demonstrations, and family-oriented STEM entertainment so don’t miss out on this chance to have a fun time with your kids. For more information visit http://charlestonstemfest.org/. February 4 – “Golden Readers” at the Florence Little Theatre in Florence. Children will enjoy an afternoon of humorous stories. For more information call (843) 662-3731 or visit http://www.florencelittletheatre.org/shows. February 5 – “Art Garfunkel” at the Charleston Music Hall in Charleston. This extremely talented historical artist is one nobody should want to miss seeing! For more information call (843) 853-2252 or visit http://www.charlestonmusichall.com/event/1585383-art-garfunkel-charleston/. February 6 – “Bela Fleck & The Flecktones Trio” at the Charleston Music Hall in Charleston. Here is yet another historical artist who has created some new music so don’t miss this show! For more information call (843) 853-2252 or visit http://www.charlestonmusichall.com/event/1573910-bela-fleck-flecktones-trio-charleston/. February 6 – “Darius & Twig” at the Gaillard Center in Charleston. This story, based on the novel by Walter Dean Myers, this story about two teenage friends who struggle to progress in their life goals is a great show for kids in grades 5th through 8th. For more information call (843) 724-5212 or visit https://gaillardcenter.org/event/the-kennedy-center-presents-darius-twig/. February 6 – February 25 – “Dial M for Murder” at the Arts Center of Coastal Carolina on Hilton Head Island. Chosen as the number one non-musical classic, this favorite production will have you sitting on the edge of your seat as you try to figure out “who dunnit”. For more information call (843) 686-3945 or visit http://www.artshhi.com/performance-shows/murder. 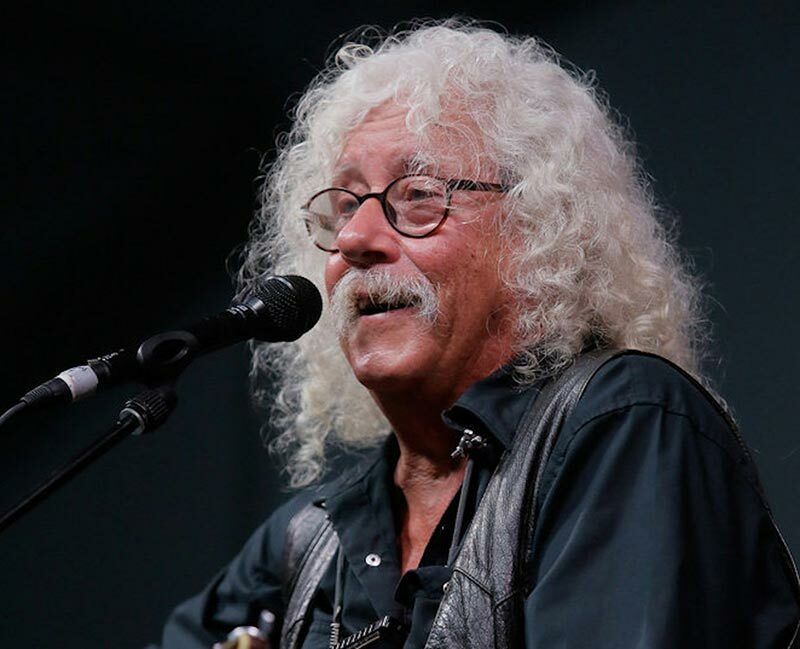 February 7 – “Arlo Guthrie” at the Charleston Music Hall in Charleston. This legendary folk music artist, who brought you “Alice’s Restaurant” will certainly take you on a trip down memory lane! For more information call (843) 853-2252 or visit http://www.charlestonmusichall.com/event/1586077-arlo-guthrie-charleston/. February 7 – 10 – Moliere’s “The Miser” at the Francis Marion University Performing Arts Center in Florence. This entertaining story about a stingy miser who plans to steal his sons young girlfriend to marry him to a wealthy older hag, his hidden treasure disappears, and the Miser even looks to the audience as the thief! For more information call (843) 661-1385 or visit https://fmupac.org/event/fmu-theatre-molieres-the-miser/. February 7 – 25 – “Helium” at the Dock Street Theatre in Charleston. Mrs. Kingsley is frail and aging, but manages to keep her imagination and uplifting charm, and as her mind begins to wander, she finds colorful helium balloons that take her on a journey through her childhood, but her daughter is struggling to keep her anchored in reality. For more information call (843) 577-7183 or visit https://www.charlestonstage.com/shows-and-tickets/53-helium.html. February 8 – “Travis Wall Shaping Sound, After the Curtain” at the Gaillard Center in Charleston. This Award Winning choreographer is so tremendously talented that you will not want to miss this chance to see him and his dancers live! For more information call (843) 724-5212 or visit https://gaillardcenter.org/event/travis-walls-shaping-sound-curtain/. February 8 – “Steep Canyon Riders” at the Charleston Music Hall in Charleston. These musicians that came together in 2000, this Grammy Award winning group will give you an entertaining evening of tremendous bluegrass music! For more information call (843) 853-2252 or visit http://www.charlestonmusichall.com/event/1585425-steep-canyon-rangers-charleston/. February 8 – “The Temptations and the Four Tops” at the North Charleston Performing Arts Center in North Charleston. These two groups don’t need any explanation as to why you don’t want to miss this concert! For more information call (843) 529-5000 or visit https://www.northcharlestoncoliseumpac.com/events/detail/the-temptations-the-four-tops. February 8 – River to Restaurant: Oyster Farming with Olivia Young at the Morris Center for Lowcountry Heritage in Ridgeland. Learn from a local business owner/collector the art of collecting oysters in the lowcountry, and have the chance to sample some freshly collected from the area. For more information call (843) 284-9227 or visit http://www.morrisheritagecenter.org/events/. February 8 – Florence Stampede and Pro Rodeo at the Florence Civic Center in Florence. This show is just for the kids with mental or physical challenges. For more information call (843) 679-9417 or visit http://www.florencecenter.com/events/2017/double-creek-pro-rodeo-for-special-kids(2). February 8 – 11 – “The Wonderful World of Disney on Ice” at the North Charleston Coliseum in North Charleston. Always one of the year’s favorite events for the entire family, and this year you’ll take a walk down memory lane with Mickey and Minnie Mouse! For more information call (843) 529-5000 or visit https://www.northcharlestoncoliseumpac.com/events/detail/disney-on-ice-presents-the-wonderful-world-of-disney-on-ice. February 9 – “Under the Street Lamp” at the Gaillard Center in Charleston. This show is a celebration of American classical songs from 1950 to 1970 and will have you singing along! For more information call (843) 724-5212 or visit https://gaillardcenter.org/event/under-the-streetlamp/. February 9 – “Cirque Zuma Zuma” at the University of South Carolina Beaufort Center for the Performing Arts in Beaufort. With the focus of an African theme, the show will be filled with acrobatics, music, and amazing feats that will have you holding your breath. For more information call (843) 521-4145 or visit https://southcarolinalowcountry.com/events/event/6263/. February 9 – 10 – Florence Stampede and Pro Rodeo at the Florence Civic Center in Florence. Come out and enjoy a fun time at the rodeo, with all your favorites such as bronc riding, steer wrestling, calf roping, and more! For more information call (843) 679-9417 or visit http://www.florencecenter.com/events/2017/florence-stampede–pro-rodeo(2). February 10 – “Jack and the Beanstalk” at the Florence Little Theater in Florence. The FLT Schoolhouse Players will perform a fun and interactive play that the entire family will enjoy. For more information call (843) 662-3731 or visit http://www.florencelittletheatre.org/shows. February 10 – “Diana Krall: Turn Up The Quiet World Tour” at the Gaillard Center in Charleston. This jazz pianist and singer is a multi-Grammy Award winner and her performance will not disappoint you! For more information call (843) 724-5212 or visit https://gaillardcenter.org/event/diana-krall-turn-quiet-world-tour-2017-2018/. February 10 – Hilton Head Island Marathon, Half Marathon and 8K at the Jarvis Creek Park on Hilton Head Island. If you are working to be qualified for the Boston Marathon, this marathon is the one, with this race and the half-marathon traveling a scenic route through 4 parks and over the Broad Creek Bridge, and there will be a great post-race party with a beer garden providing choices of 30 different craft beers, refreshments, food, live music, door prizes, a children’s fun run, and of course, awards! For more information call (843) 757-8520 or visit http://www.bearfootsports.com/hilton-head-marathons.html. February 10 – Met Opera Live in HD – “Doniezetti’s ‘L’Elisir d’Amore’” at the University of South Carolina Beaufort Center for the Performing Arts in Beaufort. For more information call (843) 521-4145. February 10 – Whale of a Sale at the Founders Hall in Charleston. Here is your chance to look for some fantastic bargains on just about anything, to include clothing, children’s items, and even furniture and not only that, it’s free to get in so don’t miss out! For more information send an email to whale@jlcharlesto.org or visit https://www.jlcharleston.org/whale-of-a-sale/. February 10 – 11 – Land of the Sky Gun and Knife Show at the Ladson Exchange Park in Ladson. If you are a collector or are searching for something for regular use, come out and see what this show has to offer. For more information visit http://www.coastalcarolinafair.org/events/2018/2018-02-gun-show. February 10 – 11 – Lowcountry Irish Fest at the Omar Shrine Convention Center in Mount Pleasant. This fun family event will include four stages of live entertainment to include music and dancing, pipes and drums, history and culture, activities for the little ones, and traditional Irish cuisine. For more information call (843) 754-0155 or visit https://www.lowcountryirishfest.com/. February 10 – 11 – Myrtle Beach Stamp and Post Card Show at the Clarion Hotel and Conference Center in Myrtle Beach. If you are looking for that special stamp for your collection or searching for a particular post card you want, this is the place you’ll want to look. For more information call (843) 331-0112 or visit https://www.visitmyrtlebeach.com/event/26th-annual-myrtle-beach-stamp-%26-postcard-show/13988/. February 11 – Chef’s Feast 2018 at the North Charleston Convention Center in North Charleston. Come out and enjoy some fabulous foods created by 30 of the areas most celebrated chef’s while helping to fight childhood hunger. For more information call (843) 747-8146 or visit https://www.lowcountryfoodbank.org/give-money/chefs-feast/. February 12 – “Harriett Tubman and the Underground Railroad” at the Gaillard Center in Charleston. This is a touching performance about a strong and determined African American woman who risked her own life to save the lives of hundreds of others from slavery! For more information call (843) 724-5212 or visit https://gaillardcenter.org/event/harriet-tubman-and-the-underground-railroad/. February 12 – Florence Symphony Orchestra presents “The 3 Tenors of Florence” at the Francis Marion Performing Arts Center in Florence. These three very talented men will amaze you! For more information call (843) 661-2541 or visit http://fmupac.org/event/florence-symphony-orchestra-3/. February 13 – Chocolate & Champagne for the Creatures at Inlet Affair Catering in Murrells Inlet. Enjoy an evening of heavy hors d’oeuvres, lots of sweets, a chocolate fountain, and a champagne fountain with all proceeds to benefit SC Coastal Animal Rescue & Educational Sanctuary and all of the animals they rescue and find homes for. For more information call (843) 546-7893 or visit https://www.facebook.com/events/1220206158112123/. February 13 – 14 – “Guess Show Showed Up At Dinner?” at the North Charleston Performing Arts Center in North Charleston. This hilarious production about a musician who decides to take a journey to his roots in the Deep South of South Carolina to find inspiration for his music and his future. For more information call (843) 529-5000 or visit https://www.northcharlestoncoliseumpac.com/events/detail/guess-who-showed-up-at-dinner. February 14 – “Harriet Tubman and the Underground Railroad” at the Francis Marion University Performing Arts Center in Florence. For African American History Month, this outstanding production will warm your heart at the amazing feats performed by this selfless African American woman and there is an early show modified just for children. For more information call (843) 661-4444 or visit http://fmupac.org/event/harriet-tubman-the-underground-railroad/. February 15 – Birding at the Morris Center for Lowcountry Heritage in Ridgeland. The lowcountry has a tremendous variety of birds, so come learn the basics of how to identify birds so you can enjoy the art of identifying them in nature! For more information call (843) 284-9227 or visit http://www.morrisheritagecenter.org/events/. February 15 – “Magic Men Live” at the North Charleston Performing Arts Center in North Charleston. Ok ladies, they’re here so get your friends together and come out for an evening of tremendous fun! For more information call (843) 549-5000 or visit https://www.northcharlestoncoliseumpac.com/events/detail/magic-men-live-2. February 15 – “Edwin McCain” and “Maia Sharp” at the Charleston Music Hall in Charleston. This South Carolina native always puts on a great show that everyone enjoys! For more information call (843) 853-2252 or visit http://www.charlestonmusichall.com/event/1573992-edwin-mccain-charleston/. February 15 – “Sonny Paladino” at the Francis Marion University Performing Arts Center in Florence. This pianist and composer who specializes in jazz, pop, and Broadway and will certainly give you one great evening of entertainment. For more information call (843) 661-4444 or visit http://fmupac.org/event/sonny-paladino-pianist-and-composer/. February 16 – Southern Soul Valentine’s Concert at the North Charleston Performing Arts Center in North Charleston. Included in this show will be Tucka, Lacee, Nellie ‘Tiger’ Travis, Calvin Richardson, and Pokey Bear. For more information call (843) 529-5000 or visit https://www.northcharlestoncoliseumpac.com/events/detail/southern-soul-valentines-concert. February 16 – 18 – Southeastern Wildlife Expo at various locations around Charleston. This is one of Charleston’s signature events that bring people from all over the world to display their artwork that includes some of the most fabulous sculptures you’ll ever see, as well as participate and/or observe Dock Dog competitions or a duck decoy auction, as well as have a chance to see Jack Hannah live, see a live raptor show, a Busch Wildlife Sanctuary show, chef competitions, attend educational workshops, and much, much more! For more information call (843) 723-1748 or visit http://sewe.com/. February 16 – 18 – Spring Home Show at the Myrtle Beach Convention Center in Myrtle Beach. If you are looking to do some remodeling or upgrading of your house or yard, or maybe even looking to build, you’ll want to plan to attend this show to visit with the vendors to gain ideas, get expert advice, and maybe even find that trustworthy company you’ve been looking for to hire. For more information call (843) 267-1359 or visit http://springshow.myrtlebeachhomebuilders.org/. February 17 – “Brantley Gilbert” at the North Charleston Coliseum in North Charleston. This amazing artist will provide you with a fantastic evening of country music! For more information call (843) 549-5000 or visit https://www.northcharlestoncoliseumpac.com/events/detail/brantley-gilbert. February 17 – A Special Evening with “Stop Light Observations” at the Charleston Music Hall in Charleston. This band known for its sell out shows at the Music Farm is continuing to move on up, so don’t miss the chance to see them in this great venue! For more information call (843) 853-2252 or visit http://www.charlestonmusichall.com/event/1590742-special-evening-stop-light-charleston/. February 19 – “Colin Quinn: One In Every Crowd” at the Art Center of Coastal Carolina on Hilton Head Island. Fill your evening with laughter with this fun stand-up comedian. For more information call (843) 842-2787 or visit http://www.artshhi.com/performance-shows/colin-quinn. February 19 – 25 – Hilton Head Island Seafood Festival at a variety of locations around Hilton Head Island. This will be an amazing week-long event filled with great food prepared by talented chefs, fun activities that will get you out and about and even give you a chance to learn something new, and even enjoy some great entertainment, so you won’t want to miss out on at least a day of fun at this event! For more information call (843) 384-6410 or visit https://www.hiltonheadseafoodfestival.com/.